The Los Angeles County Museum of Art has been going green since 2007 thanks in part to a $25 million donation from British Petroleum to install solar panels atop the entrance to the renowned art museum along Wilshire Boulevard in the Miracle Mile. 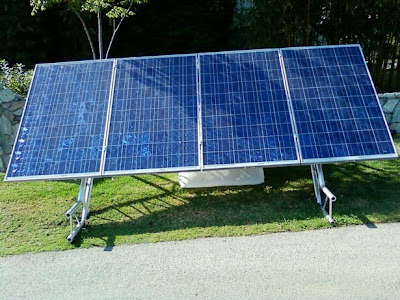 It is the ultimate irony that a company that will forever be known as being responsible for the worst environmental disaster in U.S. history is also responsible for powering LACMA's Light Installation exhibit with clean, renewable energy from the solar panels on the roof of the entrance. But that's not the only place there are solar panels on Museum Row. 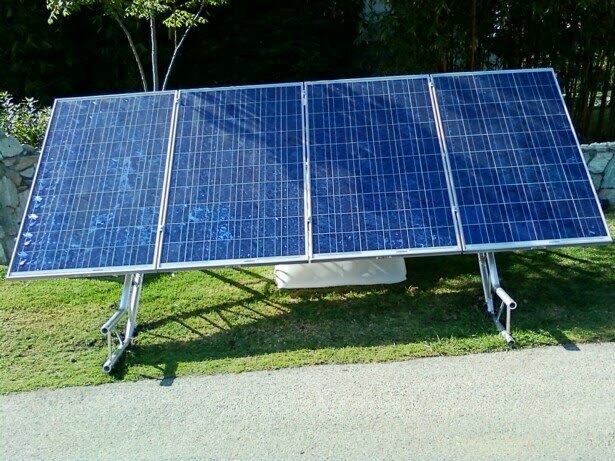 There are solar panels like this one below powering the La Brea Tar Pits and the Page Museum. 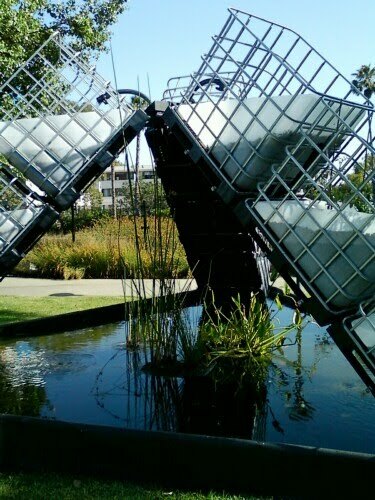 Another sustainability-focused project next to LACMA and the La Brea Tar Pits is something called "The Food Pyramid" which is according to the informational sign "a recirculating aquaponic garden that grows all of the ingredients for fish tacos with zero waste, no soil and no fertilizer. It produces cleaner air and water, and an endless source food for humans, local insects, and birds." Lastly, LACMA provides a public space for Angelenos to enjoy great music like the Afro-Caribbean band that was playing last Saturday in front of hundreds of people laying on the lawn, drinking fine wine and beer and soaking in the SoCal sun. 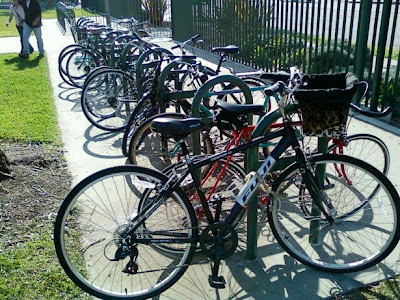 Many in the crowd bicycled to the event and as you can see below LACMA has plenty of bike parking. These free public concerts are one of the few places in L.A. where people can get out of their cars and socialize and look into the faces of the diverse residents of this great city. It provides the human interaction and public gathering space that people in this town are so desperately craving. Here is a sampling of some of the Latin beats that got some in the audience on their feet and dancing.